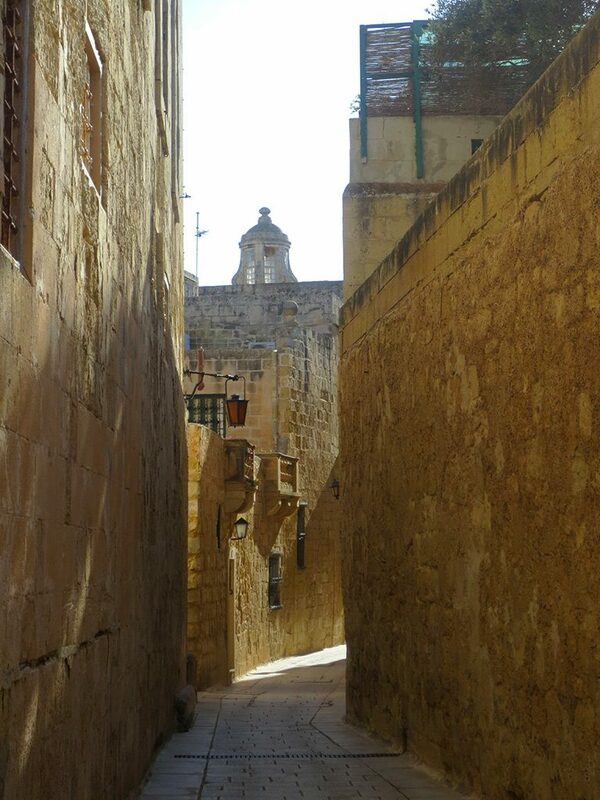 We took a bus to the town of Mdina, located about 30 minutes from Valletta in the Northern Region of Malta. 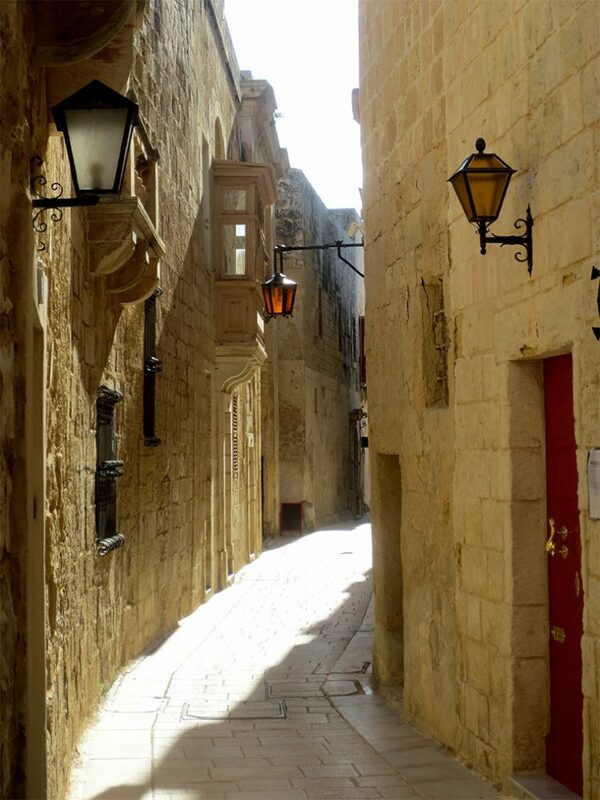 A picturesque fortified city on a hill, Mdina served as Malta’s capital until 1530. 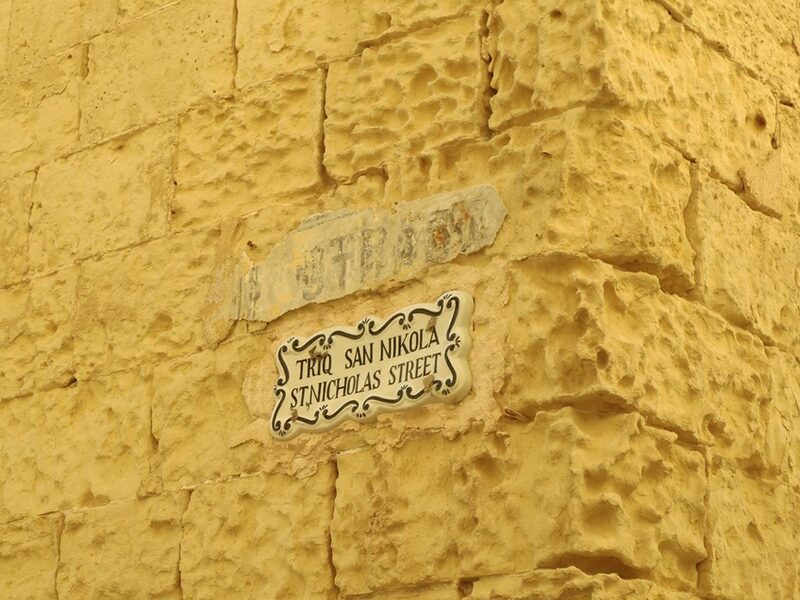 When government business moved elsewhere Mdina earned the nickname of “Silent City,” a description that remains accurate today. 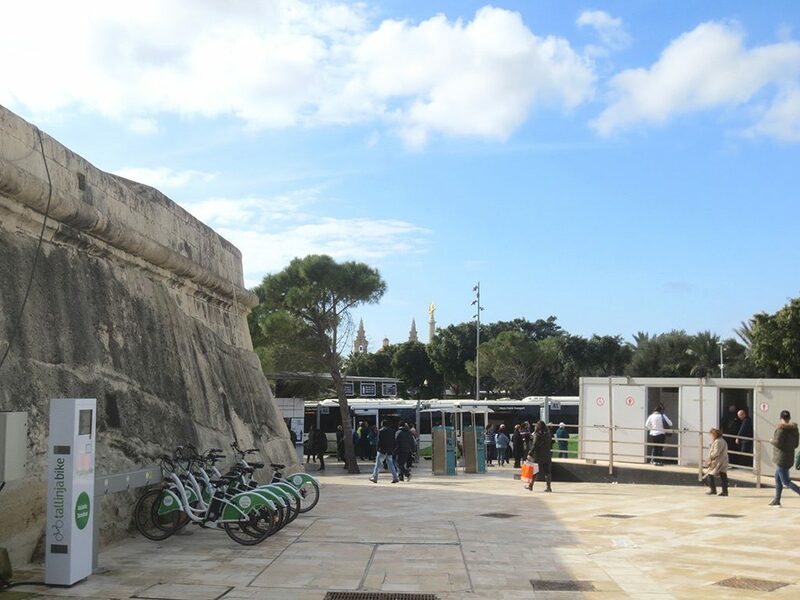 All the buses in Valletta depart from the central Bus Terminus. 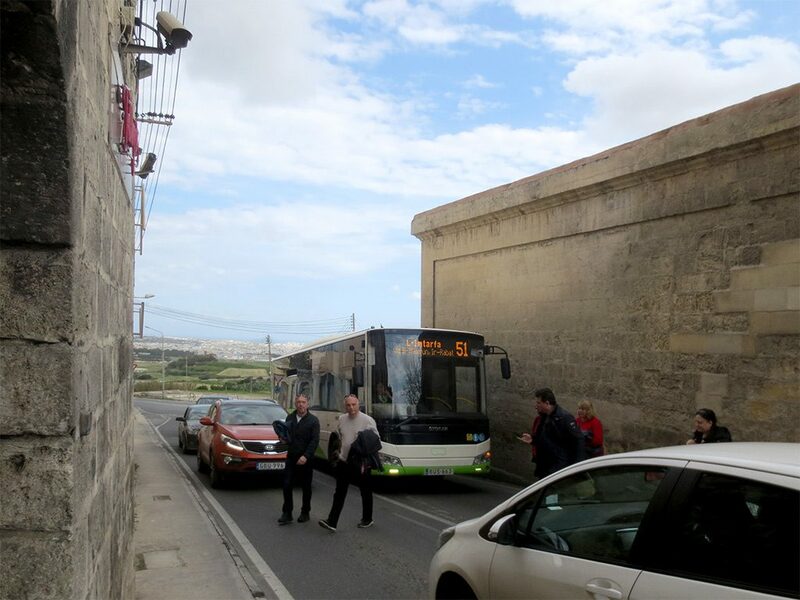 In fact, most of the bus routes in Malta connect here, as many originate from Valletta like the spokes in a wheel. The terminus is like a giant roundabout with dozens of bus bays, so it’s just a matter of finding the right one. We bought a transit pass with 12 rides on it that could be shared by multiple people — we just tapped twice when boarding. Rides are €1.50 in the winter, €2.00 in the summer, I have no idea why. 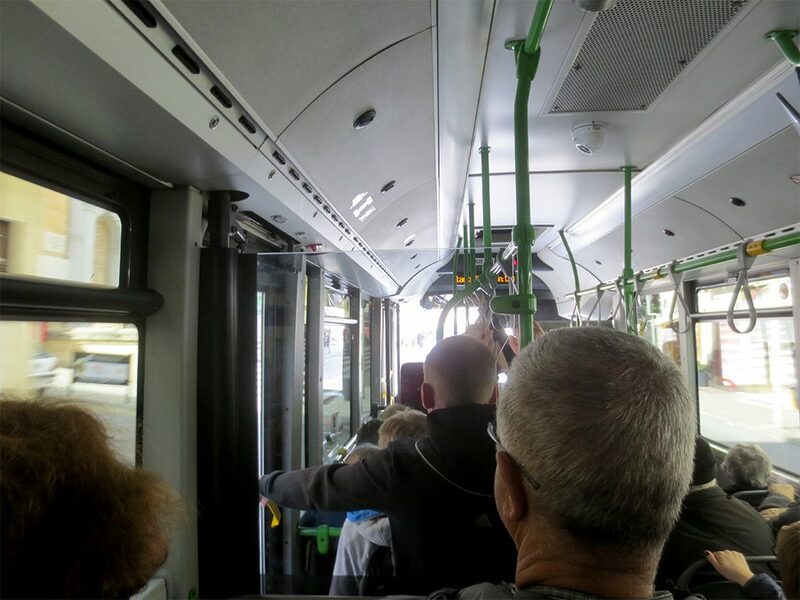 Malta’s buses are modern but small, and the drivers are as aggressive as car drivers, dodging nimbly in and out of traffic on the narrow streets. 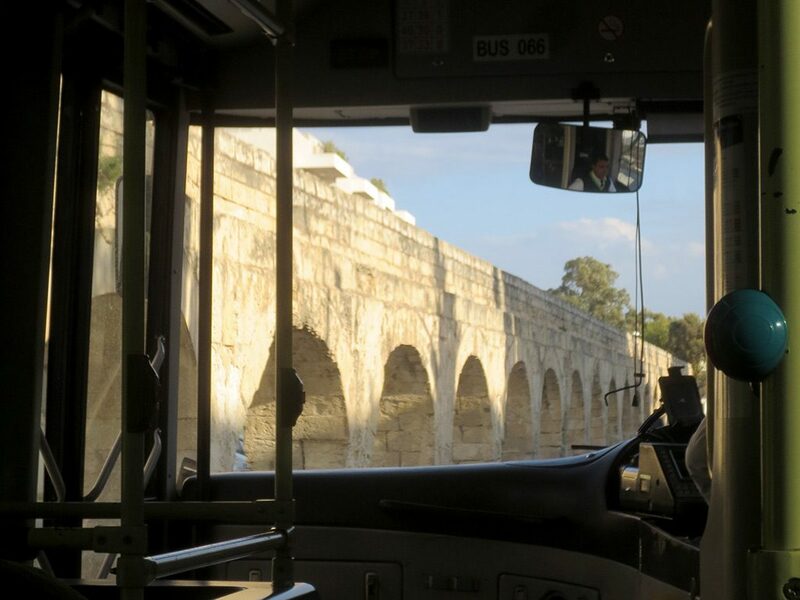 Some of our bus route 51 followed along what appeared to be an old aqueduct. 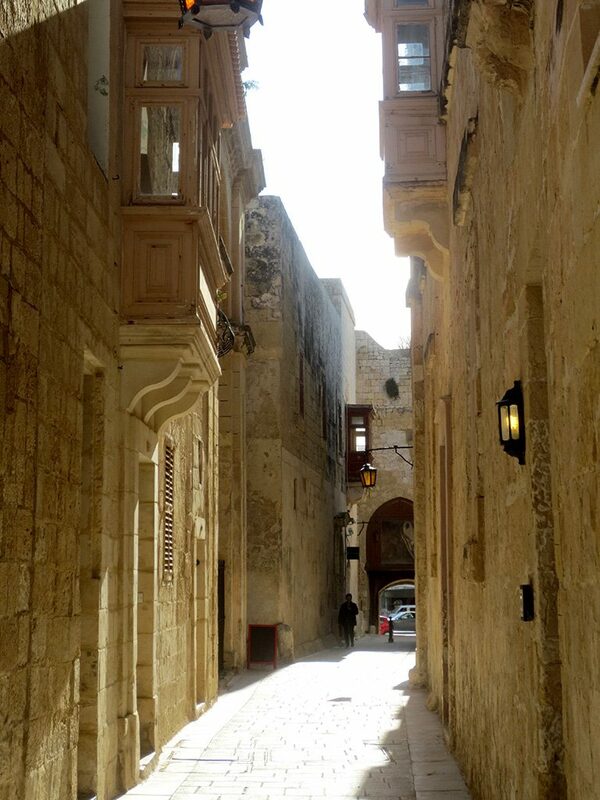 Later research reveals this was likely the Wignacourt Aqueduct, built by the Knights Hospitaller in 1615 to bring water into Valletta. 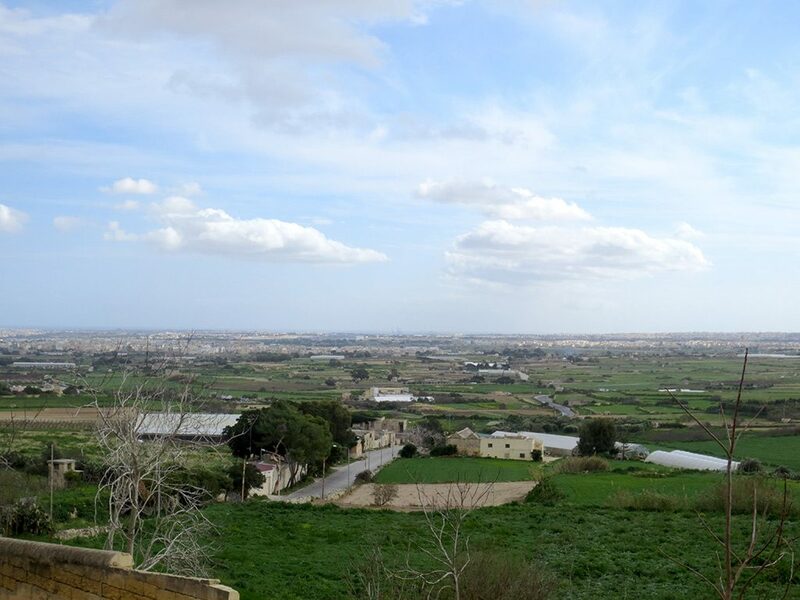 The half-hour trip went pretty well as we zipped through the Valletta suburbs and then some countryside. 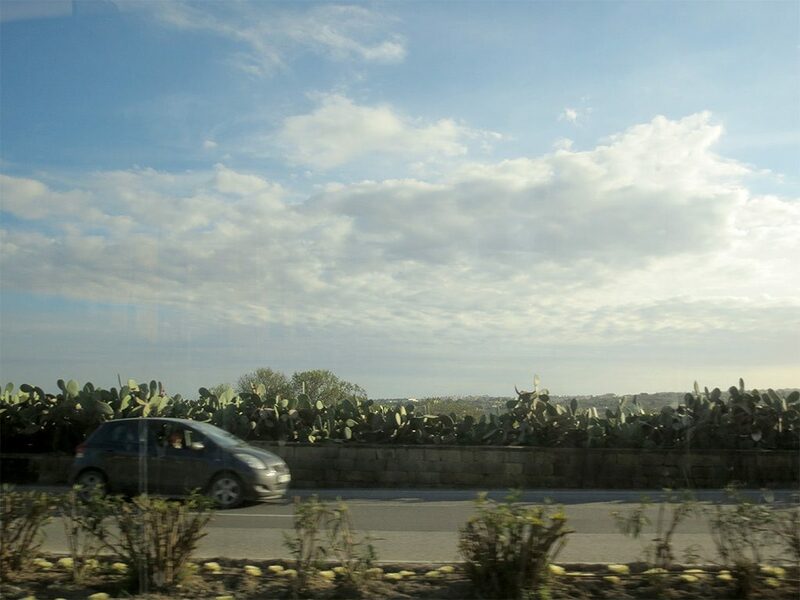 However, towards the end, as the roads started to get steeper on the way up to Mdina, we noticed the bus was going slower and slower. It seemed to be struggling, then jerking, then it stopped. We had broken down about a kilometer from our destination. 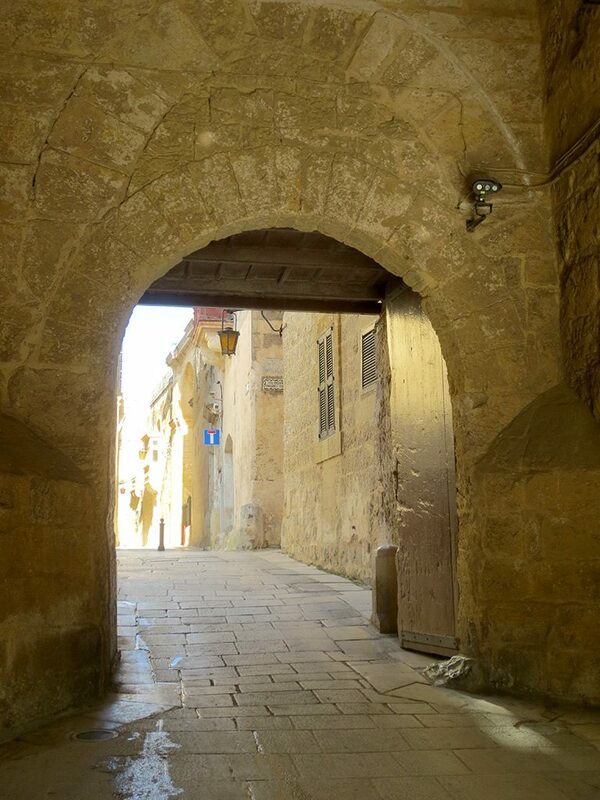 The front doors were blocked by a stone wall, so the driver opened the back doors and everyone got off. We crossed the road between the frustrated drivers who were stuck behind our bus. 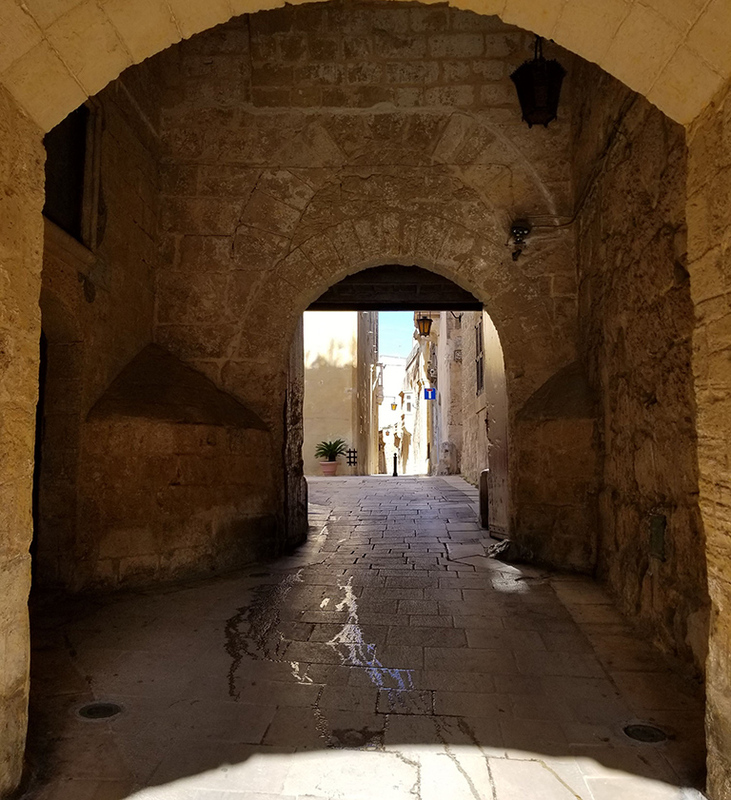 Luckily, we had GPS on Josie’s phone and determined we weren’t far from Mdina, so we just walked up through the adjoining town of Rabat. On the way there were some decent views of the countryside and some nice parks. 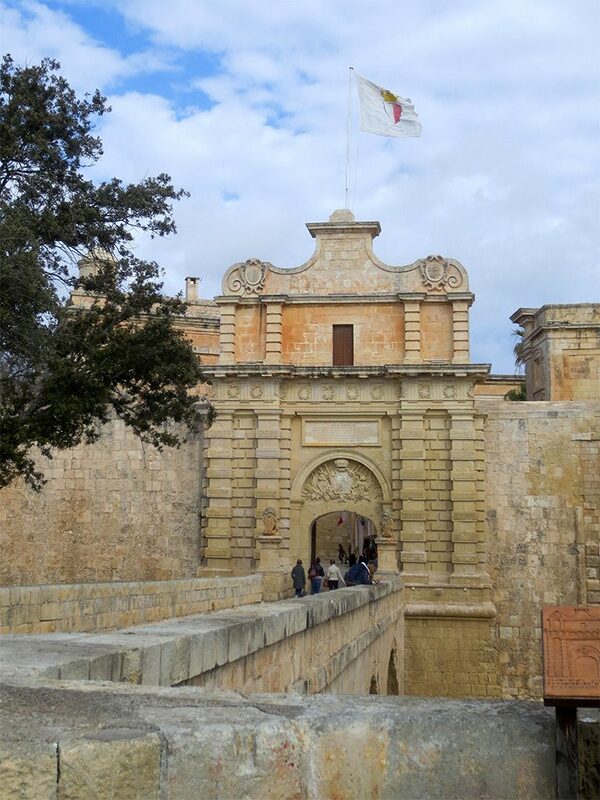 We finally reached our original destination, the Mdina Gate, constructed in 1724 in the Baroque style. 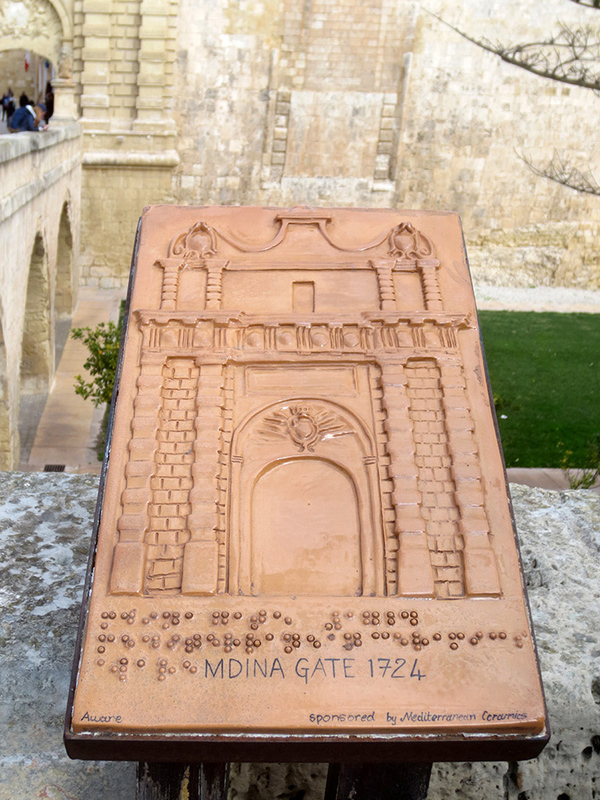 Just outside was a conveniently placed ceramic relief model of the Mdina Gate that visually impaired people can use to get an understanding of how it is constructed. 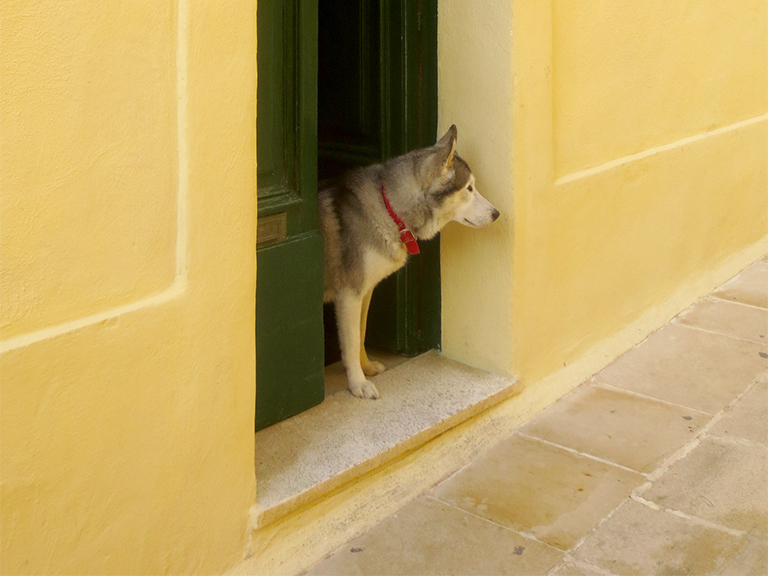 Once through the gate, we found our promised Silent City. 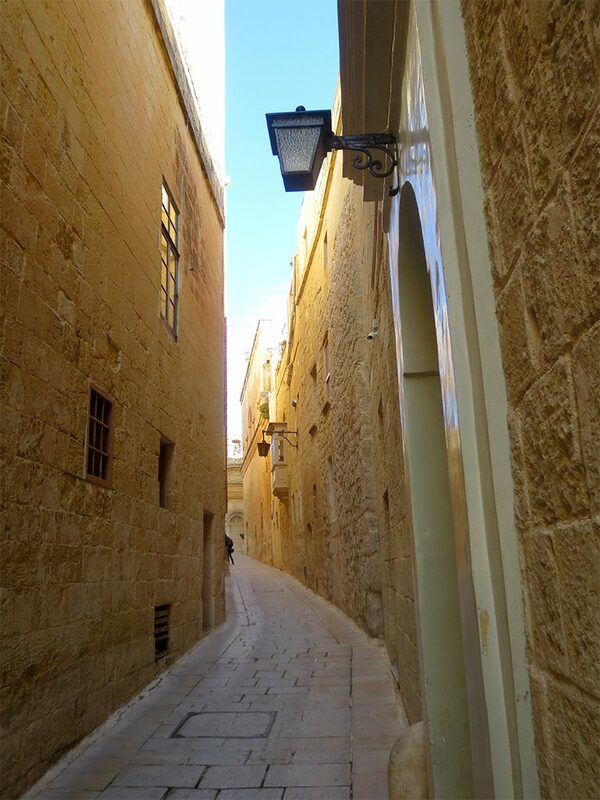 We picked up a map from the tourist office just inside and followed the suggested route around the city, with a few variations. 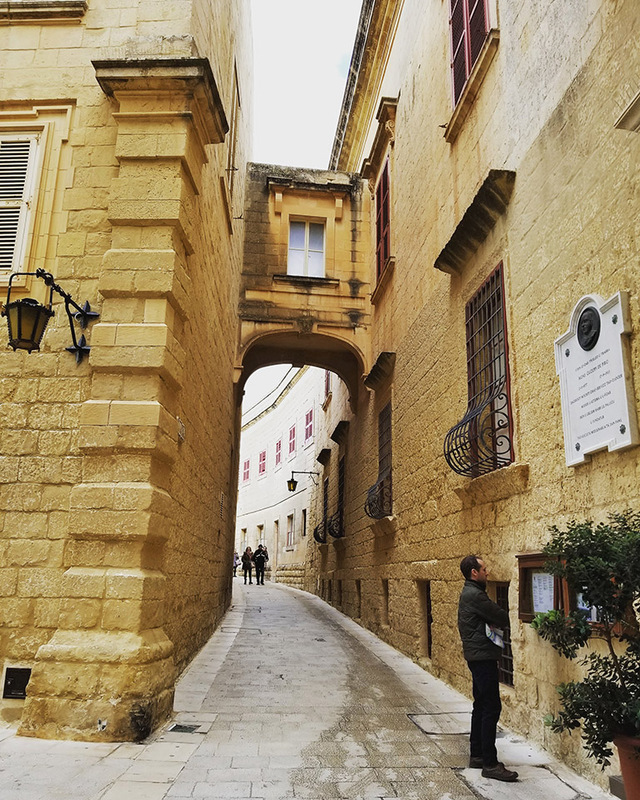 The lack of noticeable population gave the place a slightly touristy feel, but there’s no questioning the beauty of the streets and buildings. 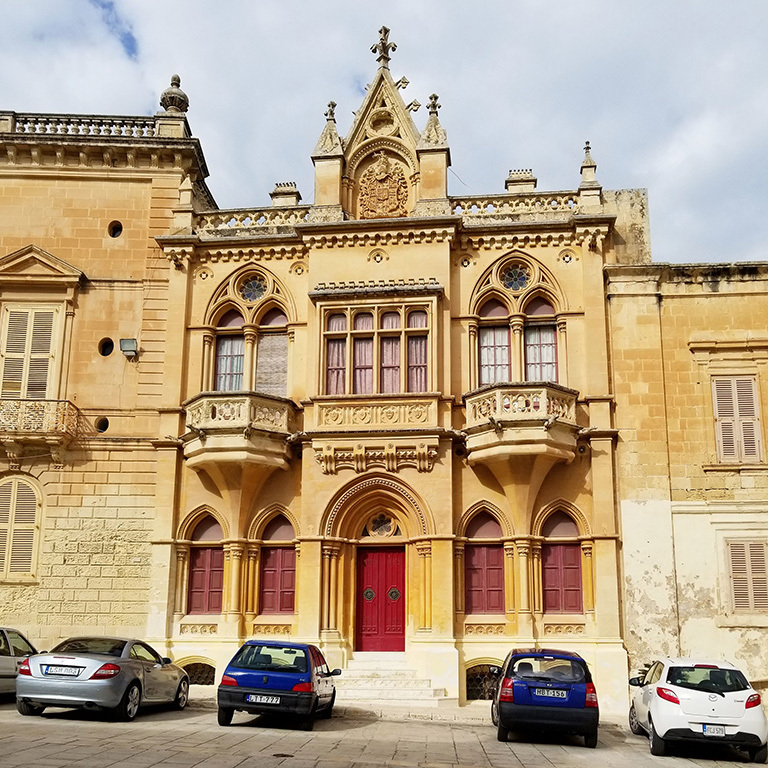 Eventually we reached the main square of Mdina, which features St. Paul’s Cathedral and its associated Cathedral Museum opposite. 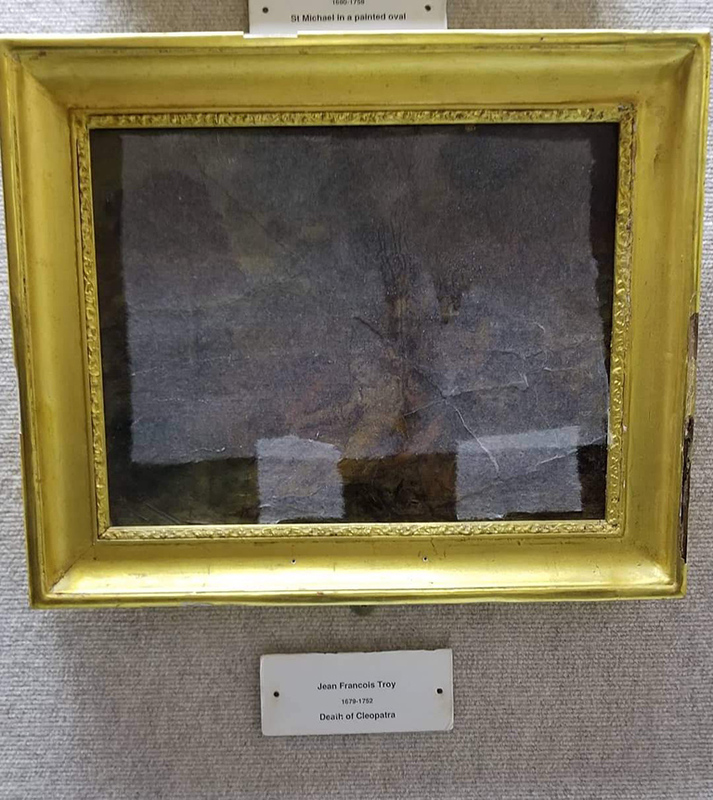 We bought a single ticket at the museum that let us visit both. 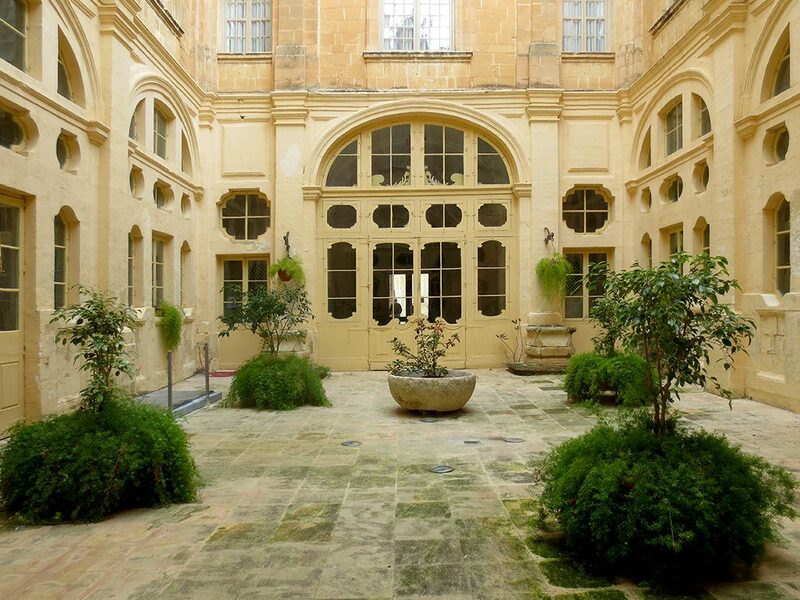 The Cathedral Museum is itself housed in a historic Baroque seminary building dating to 1733. 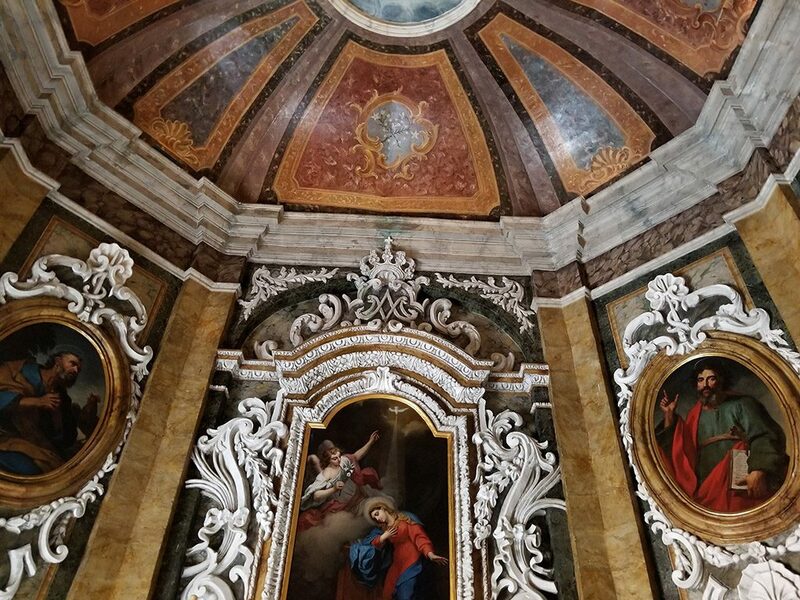 The ceiling of the chapel in the museum looks like a dome, but it is in fact partially faked using eight arched stretchers covered in canvas. 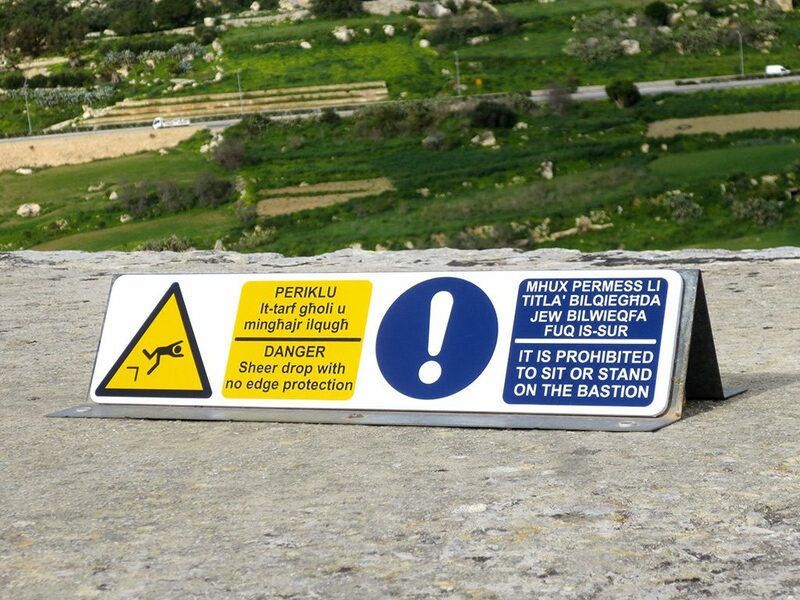 We were fooled. 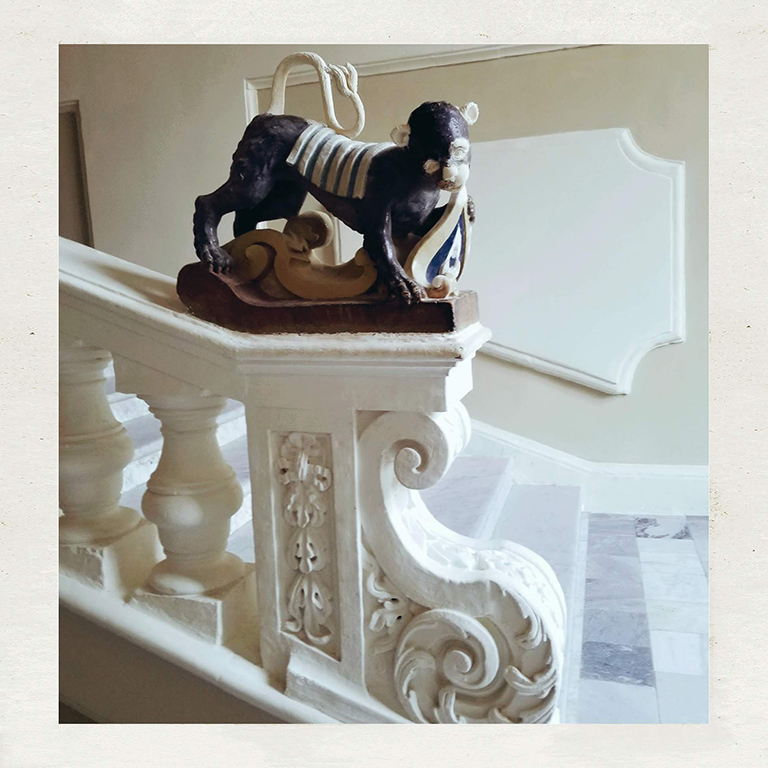 The museum itself contains the usual collection of very old religious artifacts, artworks and oddities. 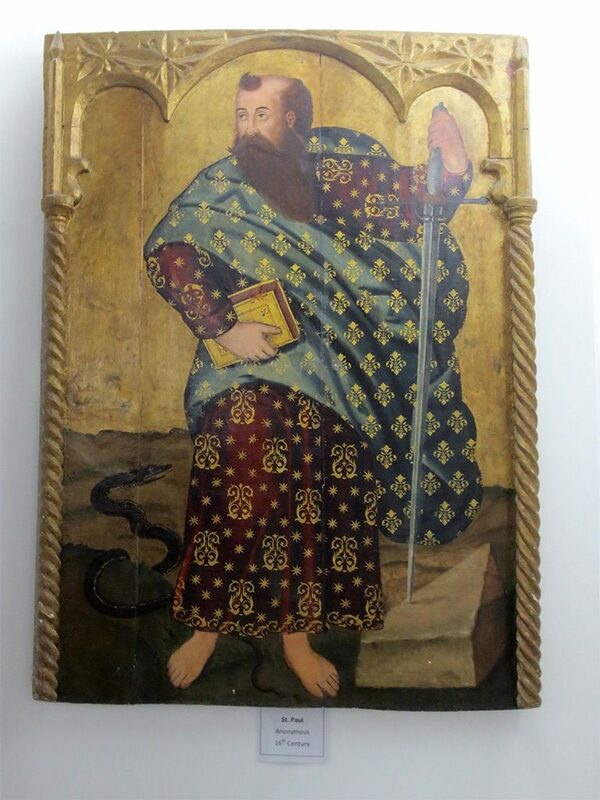 A painting being restored, we assume. 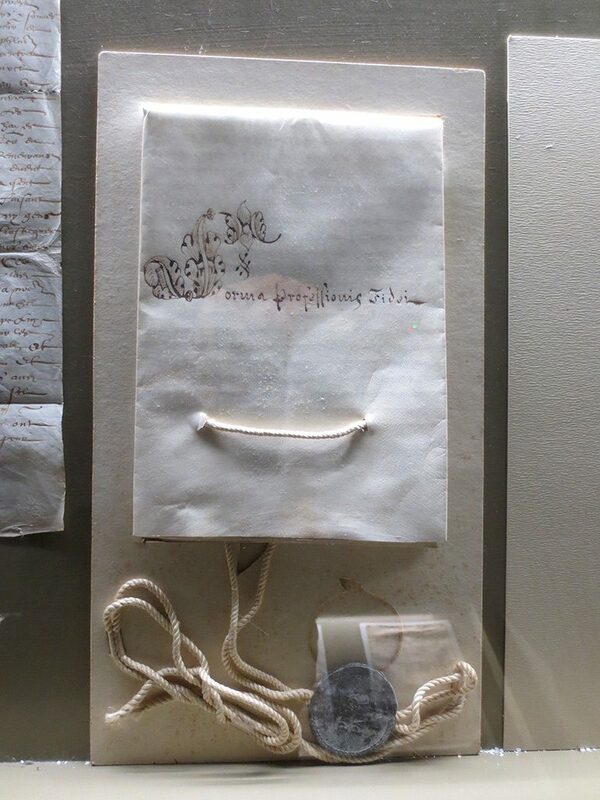 Of some interest were handwritten letters and an original un-opened Papal Bull sent in relation to some unfortunate Mdina resident who had been reported to the Inquisition. 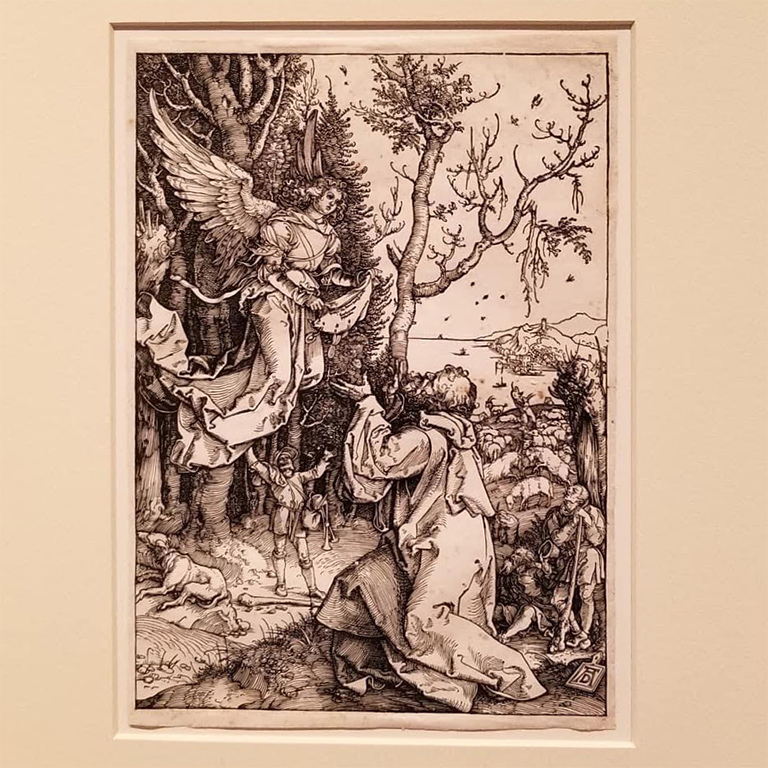 Of more interest to us was the museum’s gallery of intricate Albrecht Dürer etchings on display. These have always amazed me with their incredible detail. Dürer lived and worked in Germany in the early 1500’s. 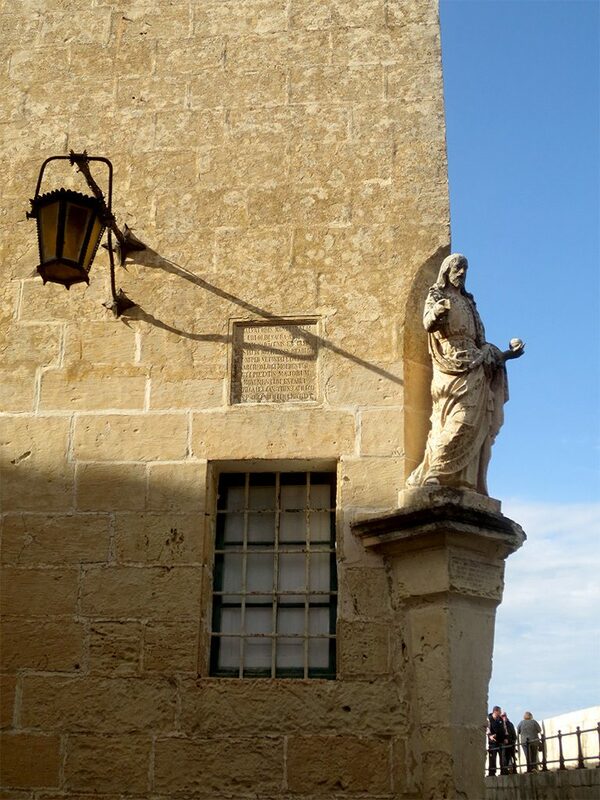 A wealthy resident of Mdina had accumulated a large collection of Dürer’s work, which he willed to the Cathedral upon his death. 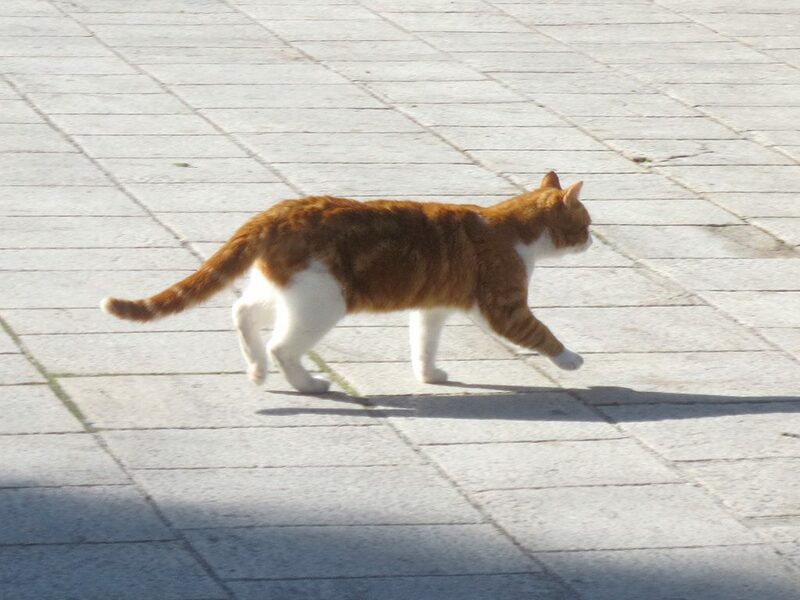 Leaving the museum, we crossed the square to St. Paul’s Cathedral itself. 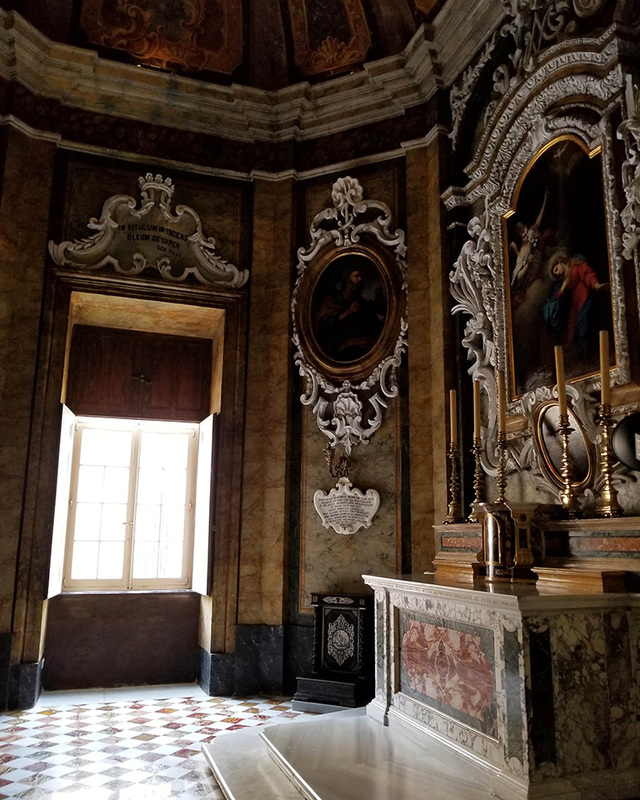 The original 12th century church on this location was badly damaged in an earthquake in 1693. 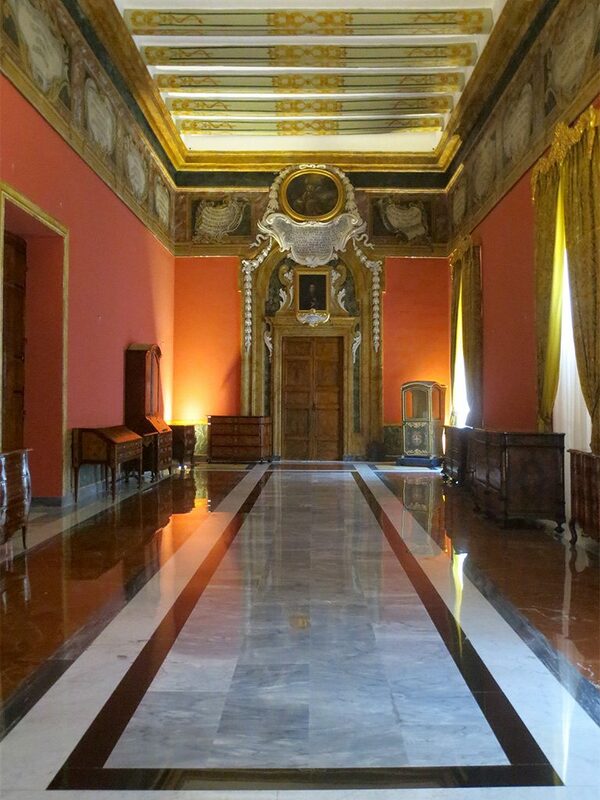 The current replacement was consecrated in 1702. 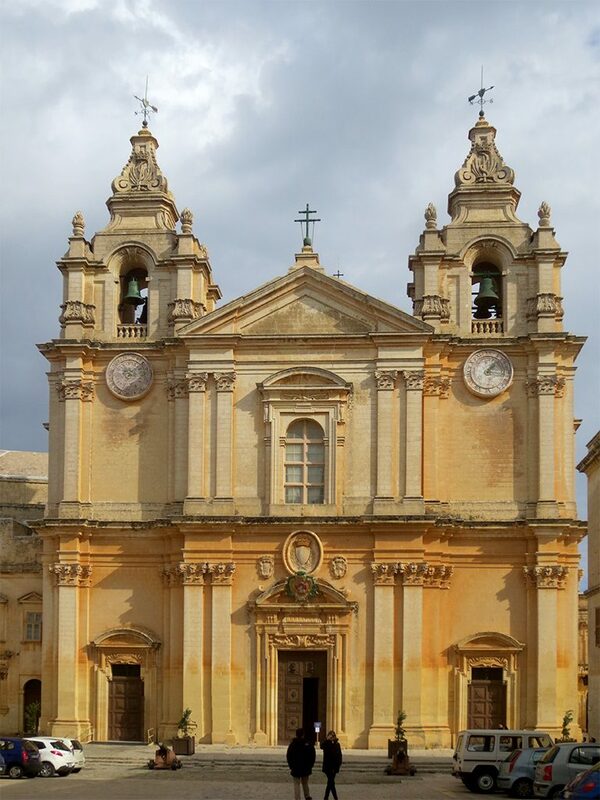 Like its partner co-cathedral in Valletta, it has an attractive two-tower facade. 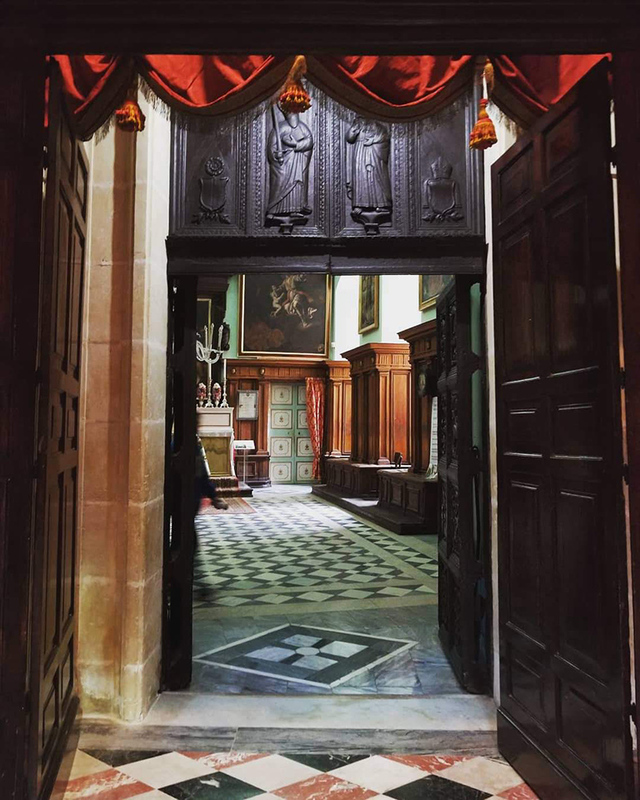 Some elements of the original destroyed church were salvaged and installed in the current one, including this Sacristy door, carved in 1520. 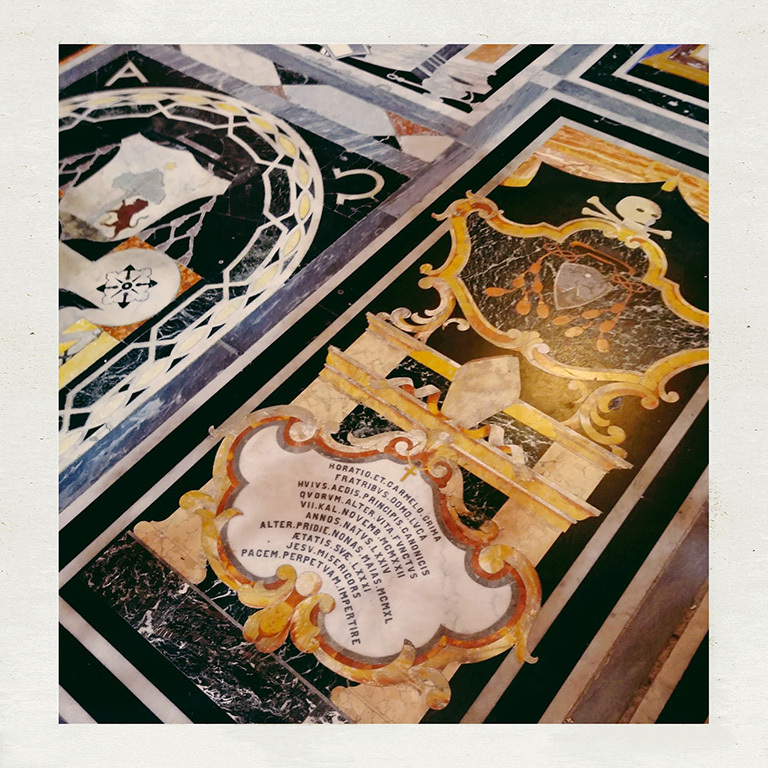 The floor of the cathedral is covered with tomb markers made out of intricate coloured inlay marble. 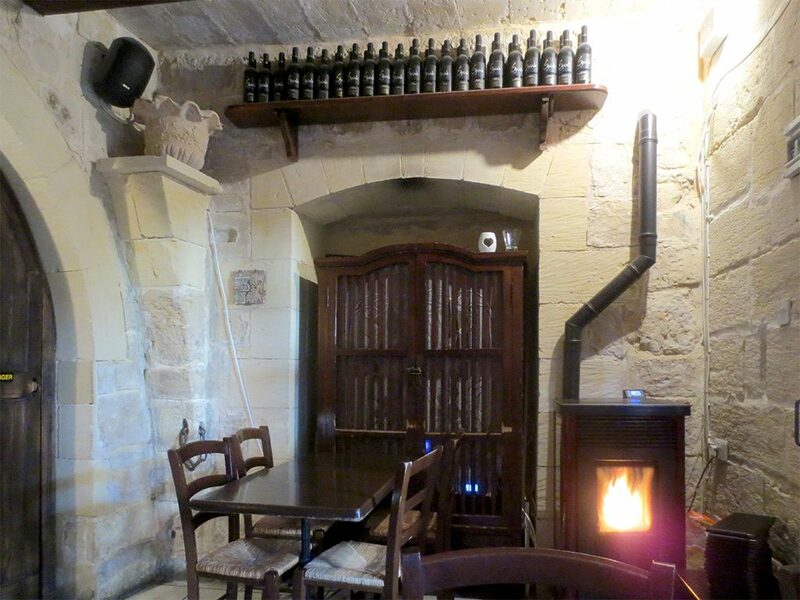 Leaving the museum we followed the other tourists to the Fontanella Tea Garden, one of the only casual restaurants conveniently located in Mdina. 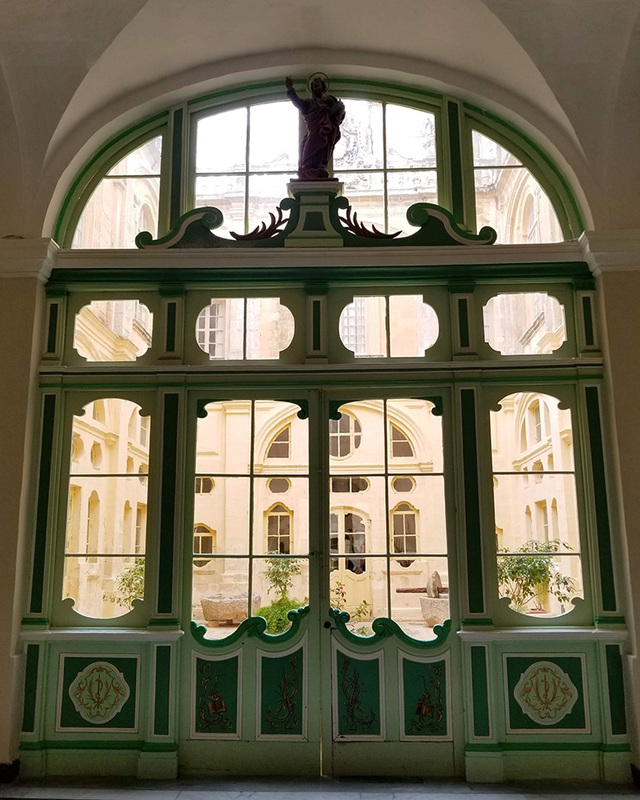 It sits above and beneath the fortification walls of the city and has decent sandwiches and soups along with an appropriately old atmosphere. 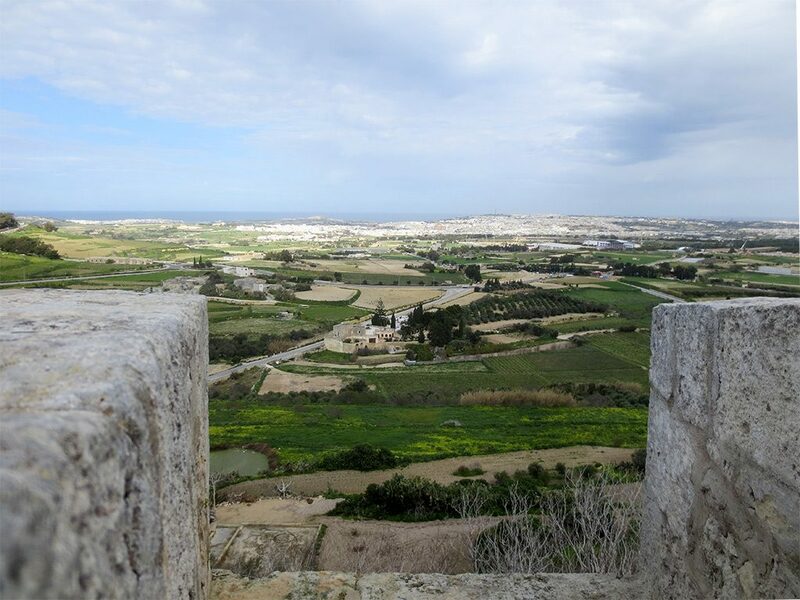 After lunch we took some photos from the fortification walls. 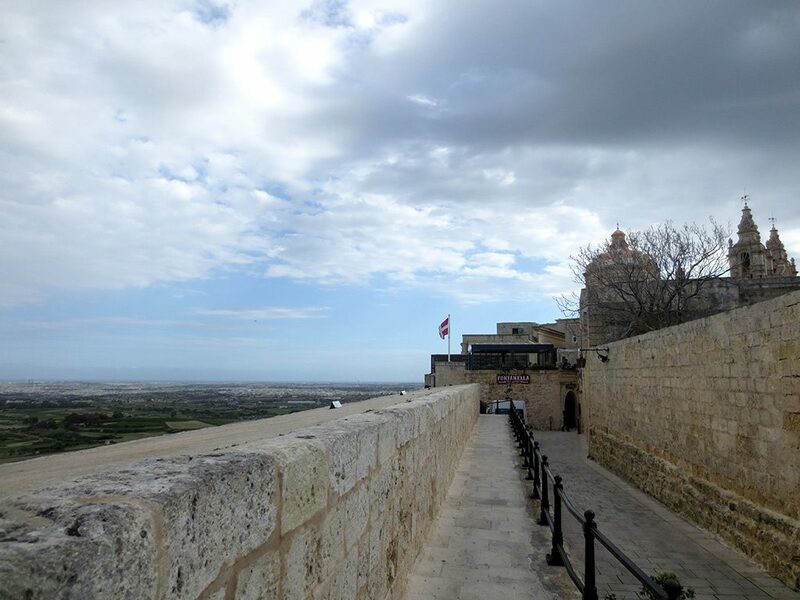 The weather on Malta tends to change frequently, with clouds and drizzle often blowing through and giving way to sun in the matter of a few minutes. 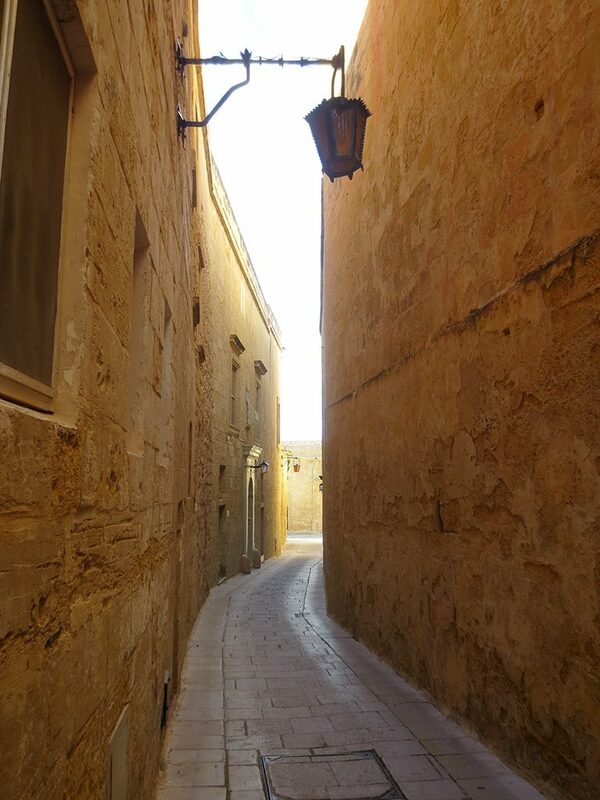 We worked our way back through a different set of narrow streets, heading towards the second of the two gates into and out of Mdina. 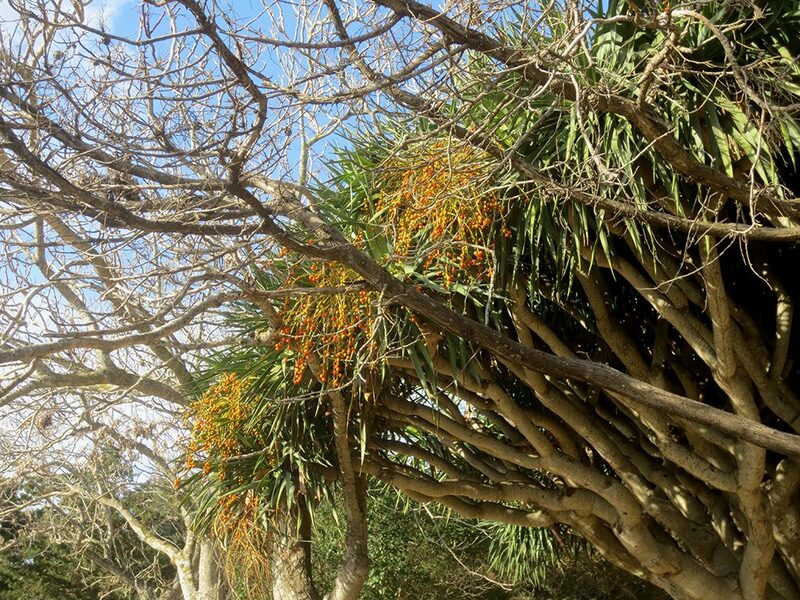 The scenery was very nice. 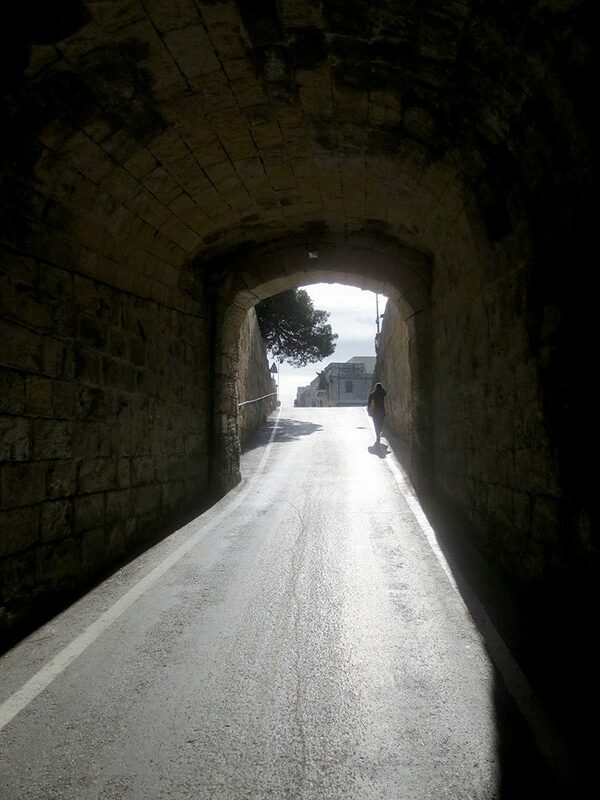 Eventually we found the Greek Gate, and escaped through it into the adjoining suburb of Rabat. 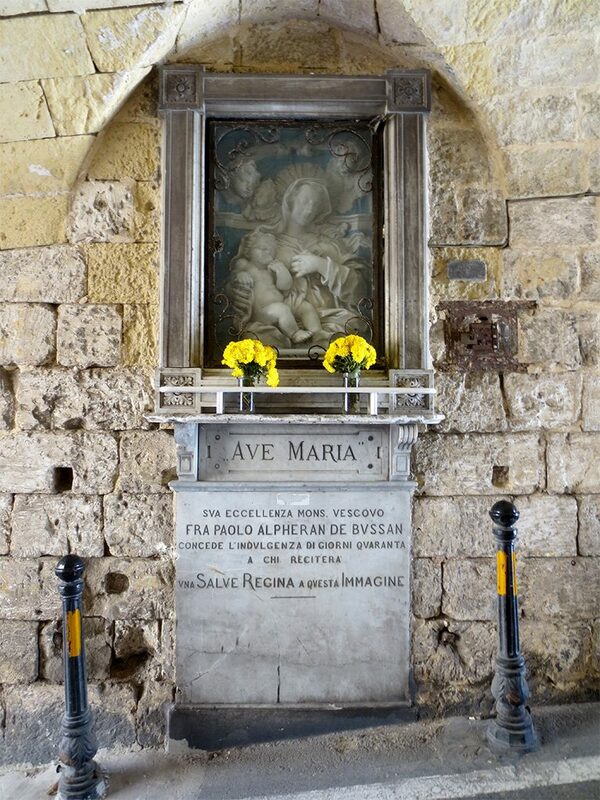 Just beyond the gate was a second tunnel, with a well-maintained shrine to the Virgin Mary on one wall. Just outside the city walls we made one last stop, at Domvs Romana, a museum built atop the ruins of a Roman villa dating to the 1st century AD. 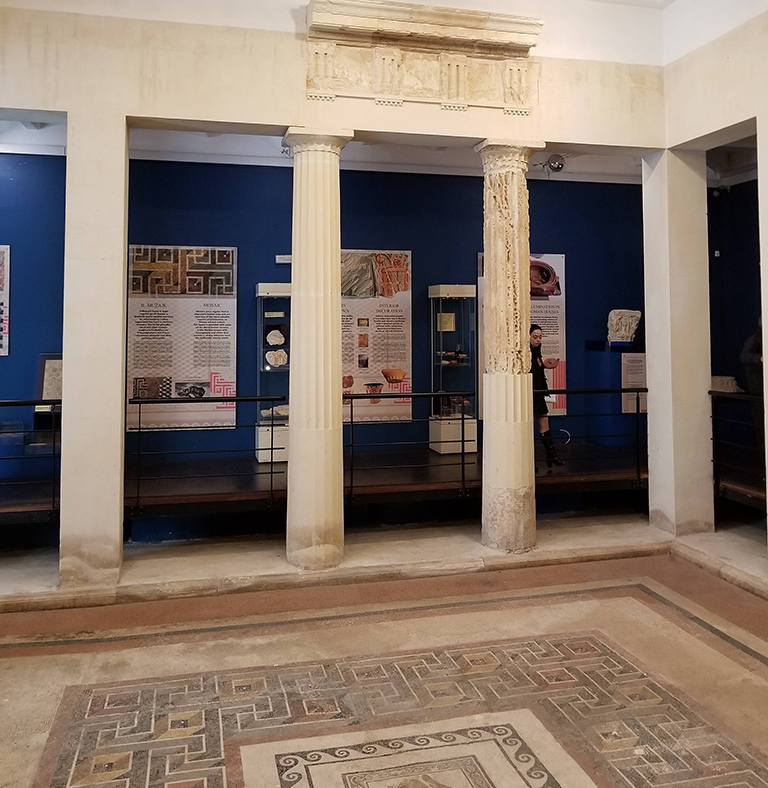 There was lots of information and a number of Roman statues and glassware on display, most retrieved from the site after it was discovered in 1881. 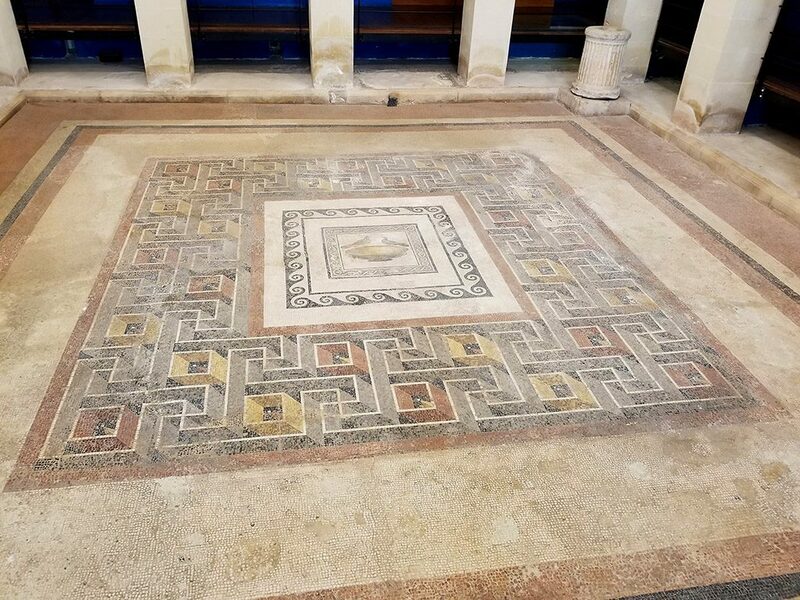 However, the main highlights were some remarkably well-preserved mosaic floors. 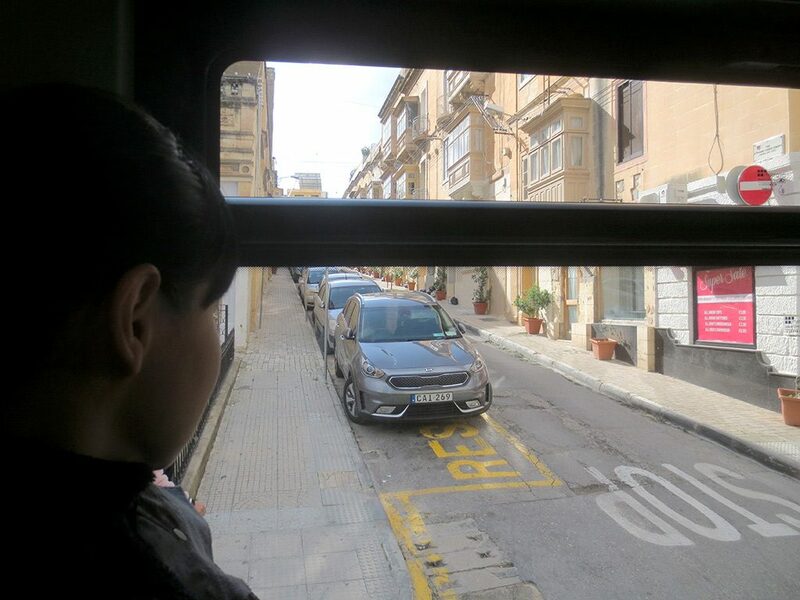 We headed back to Valletta on the bus, and this time the journey was uneventful.